Do You Have a MAP (My Anxiety Plan) For Your Child? 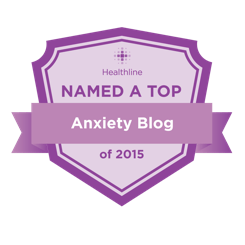 Home » Blog » Do you have a MAP (My Anxiety Plan) for your child’s anxiety? Anxiety is one of the most common mental health disorders in children. If your child suffers from one of the various forms of anxiety, the good news is that the excessive anxiety can be brought back to normal! You as a parent will play an essential role in helping your child manage their anxiety. A first step to helping your child learn how to do this is to create a specific My Anxiety Plan or MAP. Having a M.A.P. in place is an effective tool that gives your child a road map for coping with the daily challenges they may face. It can be useful when your child is struggling to tolerate unwanted sensations, urges, thoughts, feelings, and problematic behaviors. Utilizing a M.A.P will help your child identify and deal with their anxiety in the right way. Each child’s M.A.P. will be unique depending upon what their disorder is and the level of severity the disorder effects your child. How to Create A M.A.P. If you suspect your child suffers from anxiety it is best to determine first, which type of anxiety disorder your child suffers from, and the severity in which it affects him or her. Take our anxiety test to get immediate results on the severity. This will allow you to tailor a plan to meet those needs. Common anxiety disorders in children include separation anxiety, school anxiety, OCD, panic, phobias, emetophobia, social anxiety, and generalized anxiety. Enlisting the help of a professional is crucial for successfully diagnosing your child’s anxiety. After this has been determined, you and a professional can work together to select a variety of tools to combat your child’s anxiety. The key to making any M.A.P. is knowing the right destination. 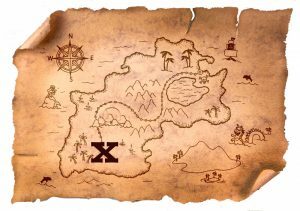 The big “X marks the spot” is always helping your child discover that, whatever their fear, it is not nearly as threatening as it seems. The fear is making a big mistake. Correct the mistake and things come back to normal. So the MAP is all about finding the right proof. Sometimes that means thinking differently but often it requires actual experience. This is why trying to talk your child out of anxiety often doesn’t work. That means you have to face the fear and experience that it really isn’t dangerous. The M.A.P. can include understanding what happens when we become anxious, learning to change how we think about anxiety, gradually exposing the child to anxiety-provoking situations, and more. Just make sure everything in the MAP leads to the right destination. When creating a successful My Anxiety Plan for your child, it is best to include a variety of different methods or tools. This will come in handy when your child has an anxiety episode, and one method doesn’t work. They can move on to another until the episode has been sufficiently managed. Selecting and implementing these tools should be done with careful consideration. The goal is to teach your child to face and tolerate their anxiety, not avoid it or create a safety net. Selecting tools that are intended to increase your child’s ability to tolerate anxiety and disprove the threat is more effective than trying to reduce anxiety. Anxiety goes down and stays down after the threat is disproven. If you teach a child to reduce anxiety but don’t disprove the threat then it will come right back. Anxiety and stressful situations exist everywhere. Think about all the times you have been faced with stressful situations and felt anxious. It is not useful to try and eliminate anxiety, rather try to reduce the effects of anxiety with tools that teach your kid to tolerate and cope, rather than escape anxious situations. Implementing a M.A.P is not a cure-all. Your child will need help in practicing the tools in their My Anxiety Plan. They may also need reminding that they have these tools at their disposal. It is important to help your child realize that they hold the power to managing stressful situations. Reward brave behavior and help them to celebrate small successes. Managing anxiety is not an easy struggle, sometimes it may seem like one step forward and two steps back. Teaching your child to recognize small successes will help encourage them to continue trying. If you suspect your child may have an anxiety condition, do not delay! View our childhood anxiety checklist and see where your child’s symptoms rank. Turnaround is a proven, award-winning audio program that can help teach your child to successfully manage their anxiety. Contact us to learn how our program can benefit your child. Can Therapy Dogs Help My Anxious Child?